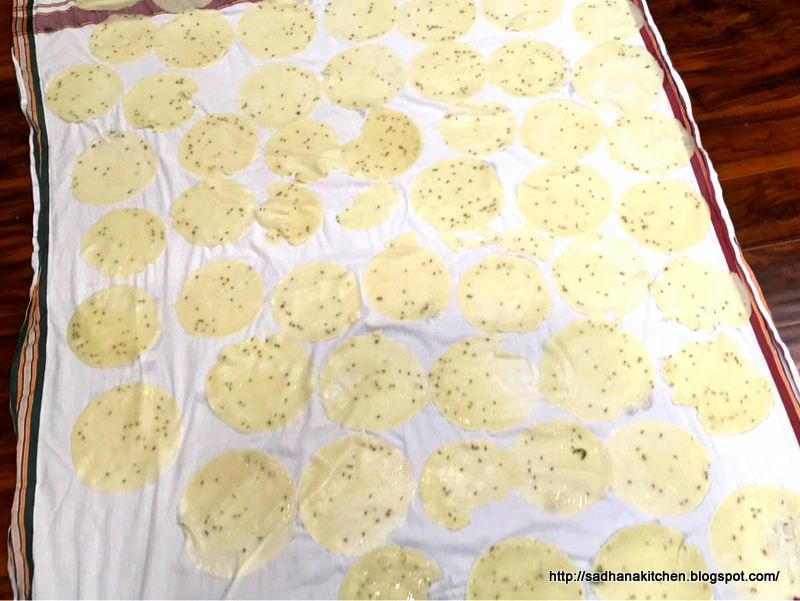 Most of the Indian housewife makes large quantities of vadamand dry it properly and store it and use it even for 1 year. Such traditions are dying a slow death now ina fast-paced world. Now a days, Supermarkets are stocking vadam and Vathals. 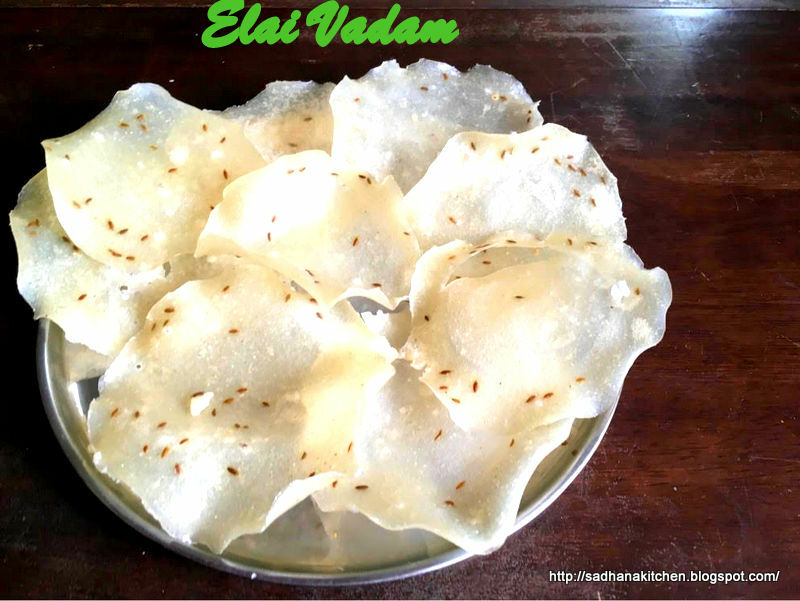 Elai Vadam is a delicious papad/ rice cracker that is verytraditional to the south Indian homes. 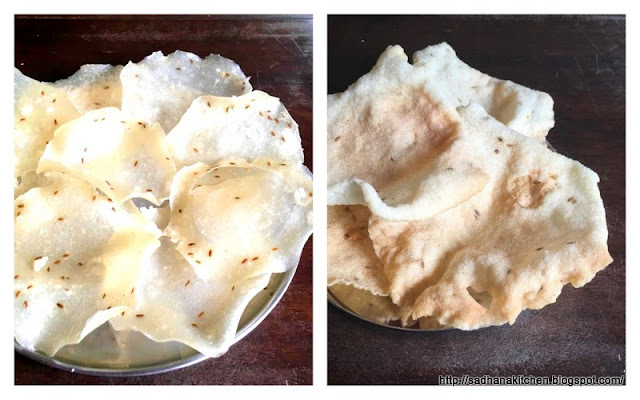 A simple recipe using raw rice,jeera and salt. “Elai” in Tamil means leaf and sincethe batter of these vadam gets cooked in a banana leaf it gets its name. 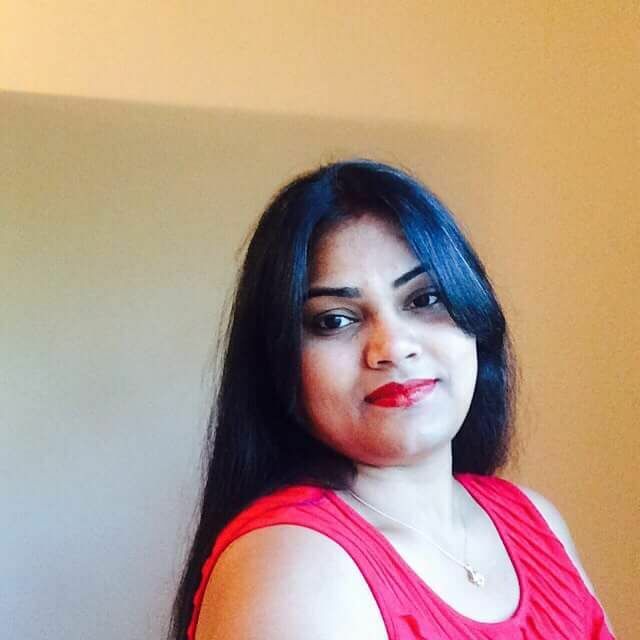 Butthese days, Elai Vadam stand is readily available and the Vadam can be madeusing that. Taking full advantage of the bright summer sunshine, gettingready for the preparation of vadam making in full swing the last couple of weeks. 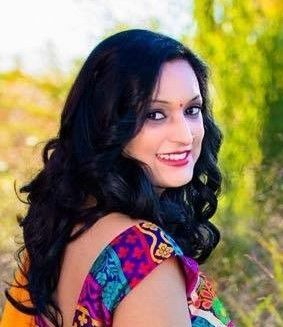 Today I am going to share my favorite recipe from my Amma’skitchen. I love them and prefer eating them when just steamed. Most of thetimes, my Mom make only the steamed vadam to eat them just like that. Have fun in making this vadam and you will also enjoy makingas much as I did. Wash and soak the rice for 4 hours. Wash and clean the rice and Grind to a fine paste along withsalt and green chili. Add water gradually while grinding. Allow the batter to ferment for overnight. In the morning, you will get a nice fermentedaroma from it. After fermentation, you will notice that there is a small layerof water on top of the batter. Remove this water and set aside. Soak the Javvarisifor 2 hours. 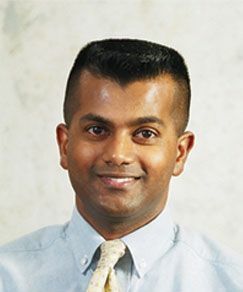 Cook the Javvarisi in thehot water. Keep aside. Now add the cooked Javvarisi and cumin seeds into thebatter. if needed you can add more water to adjust consistency. Cut the banana leaves and keep ready. Grease the banana leaves with a drop of oil and add a ladle ofbatter on this. 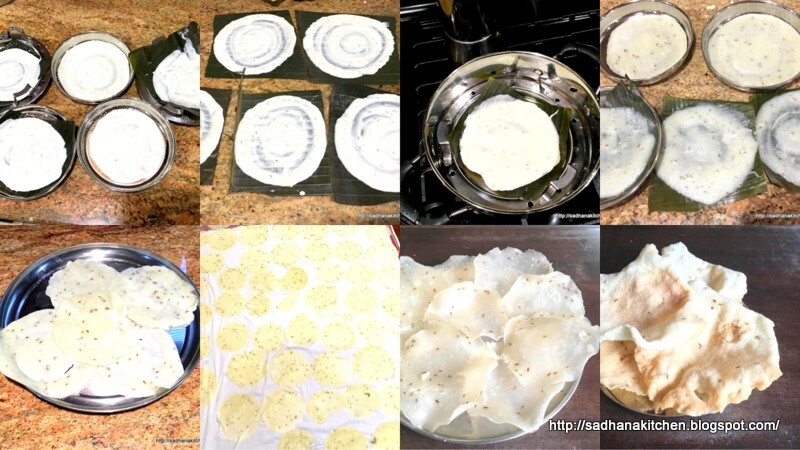 Spread it in a circular motion like a dosa. Add water in a idli pan and keep a small cup filled withwater inside. Keep a banana leaf on a plate, which should fit into the pan. Steam this for a minute. The color will change as shown inthe picture. Take out the stand and remove the plates. When it is warmslowly peel it off, it will come out easily. Repeat the process until youfinish all the batter. You can eat them fresh as a evening tiffin. I love it. Peel the vadam slowly. 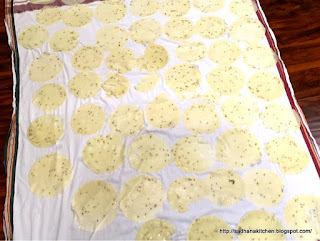 you can arrange in a clean whitecloth/ Plastic sheet for drying. Let it air dry/ sun dry for a day or two. After drying it, you can store it in an airtight box for upto a year. Whenever needed, fry it like the normal papad. Heat oil in a deep-frying pan; fry a vadam at a time, theywill fluff up and become bigger than they are. Fry in enough oil and drain in paper towel. Serve the ElaiVadam as it is or along with your meal. You can also roast it in open flame or microwave it. You can use Idli rice also. Consistency of the batter should not be too thin. If it istoo thin, it will run out from the leaf. 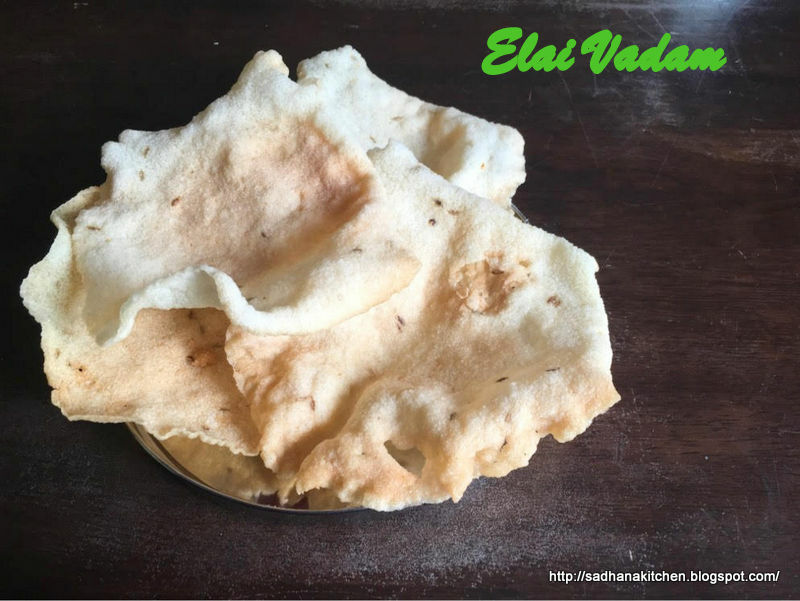 Now a days, Elai vadam stands are available.If you are using the stands, slightly grease the plate with little oil spreadthe batter and steam it. The vadam will stick to the plateif they have not steamed enough or if the plates have not been greased well. If you are too tired to make allthe vadam in one day, you can store the batter in the fridge and use it thenext day. Thank you Amma for the tips.